Joomla has announced Joomla 2.5 Beta 1, with a stable GA (general availability) release coming January 10, 2012 (give or take a few days, depending on availability of the fine people who donate their time and energy). The decision has come based on a poll Joomla released called Vote for the Version. And it only makes sense really, with 1.0 being the intital release, and 1.5 being the next ‘long term release’, that 2.5 would be the replacement long term release following 1.6 and 1.7. Anyone who is currently running version 1.7 will have no trouble updating to 2.5 with the new update feature built into the extension manager. Everyone else will have to upgrade using the jUpgrade component (and hope for the best). Make sure you do a full backup of your files and database before attempting!! You’ve been warned. 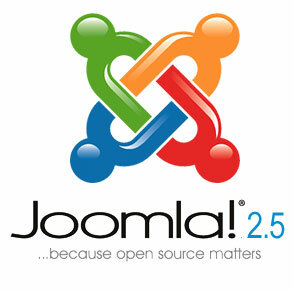 Joomla 1.5 will reach end-of-life with no further security updates after April 2012, and the next version of Joomla (Joomla 3.0) will follow shortly after in July 2012, followed by 3.1 in January 2013, and the next next long term release version 3.5 in July 2013. Maintenance and security releases will still follow the same version structure (ie 2.5.1, 2.5.2) as required/necessary. Our recommendation for sites running 1.5 will be to upgrade to version 2.5 by April 2012 or shortly there after. This will probably not be easy, and certainly not without some planning.